Dimock Cheese, located in the breadbasket of the heartland, is the oldest cheese plant in South Dakota. Since opening the doors in 1931, Dimock Cheese has continued to make handcrafted artisan cheese the old fashioned way. We use only the best ingredients available and take no shortcuts. We take great pride and care in producing premium quality cheese for our customers. 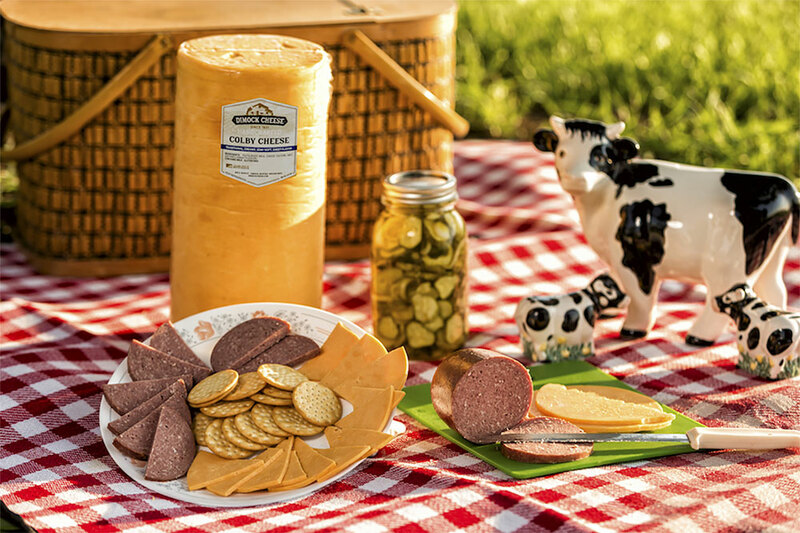 With twenty-three varieties of premium cheese and eight original cheese spreads, Dimock Cheese offers a wide range of options for cheese lovers. All our cheese is handmade. Dimock Cheese is available in 8 oz., 1 lb., 5 lb. and 10 lb. packages as well as six different gift box options. 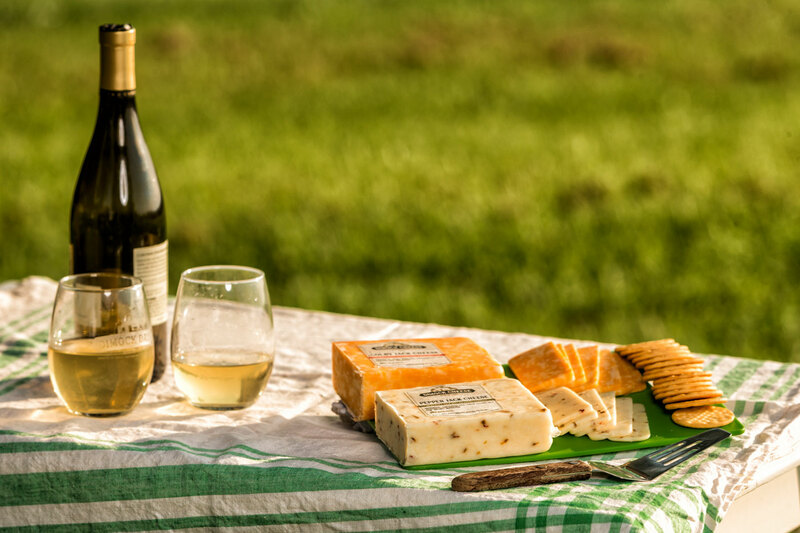 Dimock Cheese’s unique and rich-tasting products make a perfect gift for any occasion from Christmas to anniversaries or anything in between. 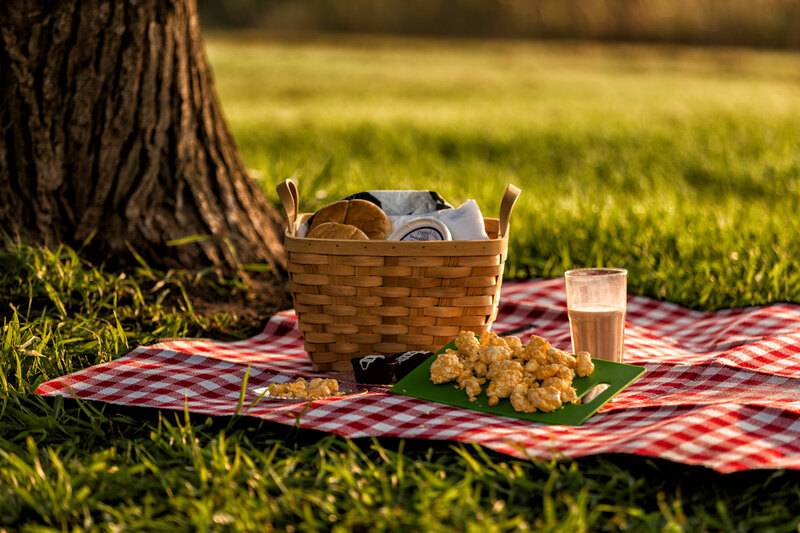 Give Dimock Cheese and make that special day even more special. Ask us about our fundraising options! 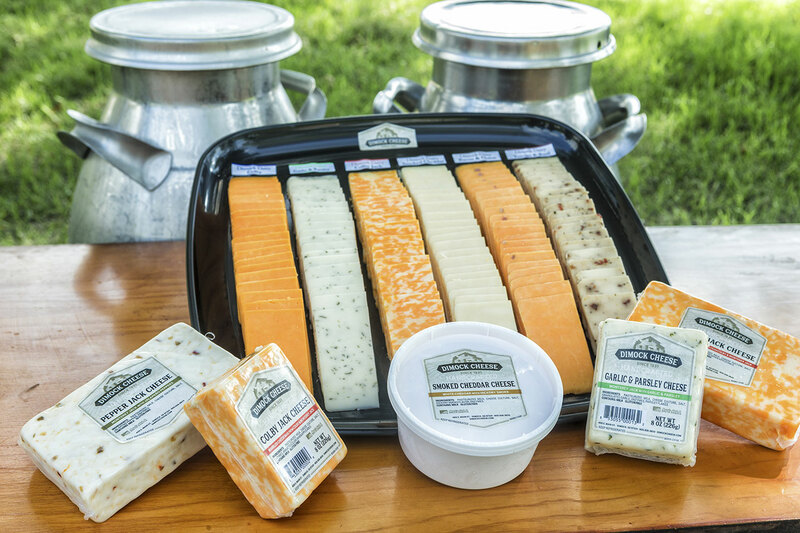 We offer a variety of cheeses ranging in size from 6 oz bites to 5-pound blocks. Our Cheddar Cheese Curds come in 6 oz packages in either white, yellow or a mix of both colors of curds. 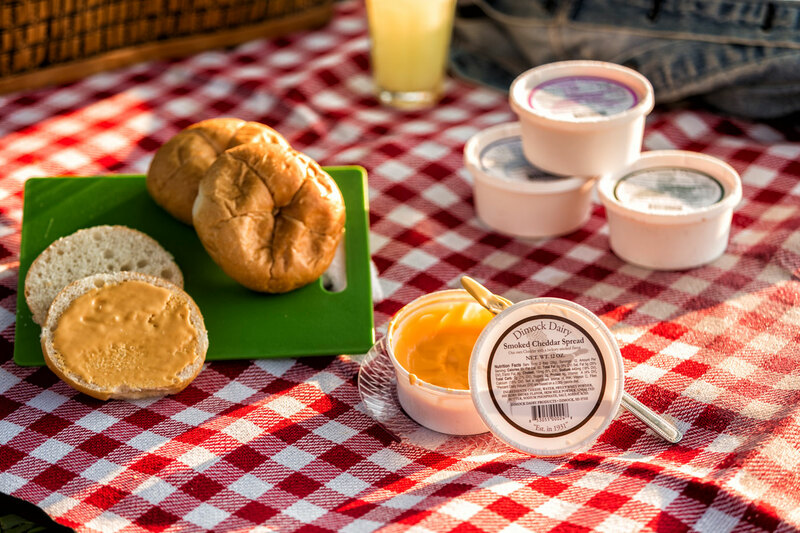 Cheese Spreads come in 12 oz containers with 8 varieties to choose from. Our largest block of cheese, the Cheese Horn, weighs 13 pounds and comes in a couple of great flavors. 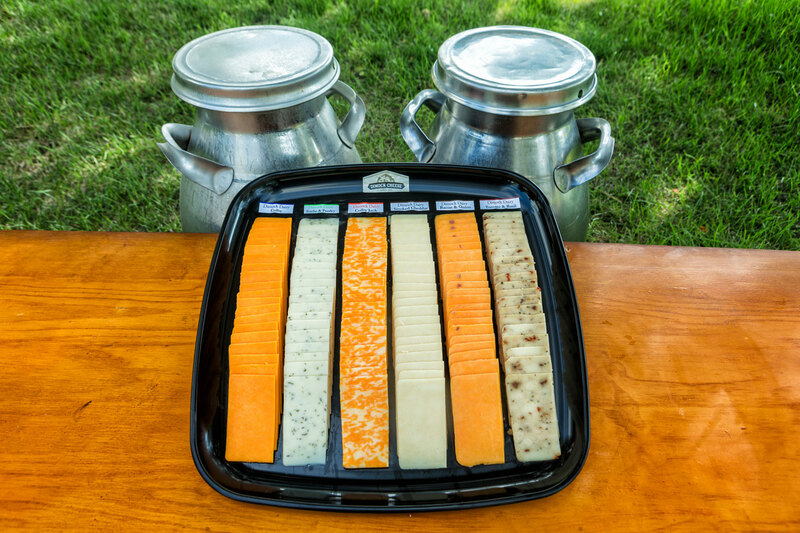 A variety of 6 cheeses, sliced or cubed, on a 16” tray, available for pickup only at Dimock Dairy. 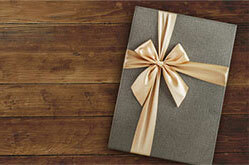 With 6 options of gift boxes or variety packs, we have something for everyone.